If you’re recovering from alcohol or drug abuse, you may be wondering what steps you can take to improve your recovery and help support your journey toward a substance-free lifestyle. For many recovering addicts, sober living houses are excellent resources that can help foster accountability, community and responsibility. Living in a sober house isn’t always easy, though. If you’re considering residence in a sober home, it’s important that you take your commitment to sobriety seriously, so that you and your housemates can support each other thoroughly throughout the recovery process. There are still rules: While a halfway house in Phoenix, AZ may impose fewer restrictions on your day-to-day movements than an inpatient addiction treatment center, it’s important to realize that there will still be rules you’ll need to follow. Most sober living facilities implement curfews, scheduled visiting hours, group therapy, independent therapy and household chores for each resident. Community is important: Community is the key component that makes sober living homes successful. The communal environment of a halfway house fosters accountability; it encourages residents to hold each other accountable throughout the entirety of the recovery process. While sober living isn’t an end-all solution for addiction, it’s often an effective way to provide addicts with the support they need to begin living sober. Sober homes support transitions: The goal of a sober living facility is to transition individuals from inpatient facilities or addiction back to independent living. Sober homes help build confidence, independence and a sense of responsibility. A good halfway house equips you with the attitude and tools necessary to continue living sober independently. They are safe and comfortable: There are a number of misconceptions that surround sober living. One of the primary concerns that many people have about sober homes is that they’re equivalent to homeless shelters. The reality couldn’t be more different! In fact, most sober living homes are advanced facilities with comfortable accommodations, professionally trained staff and a number of modern amenities. 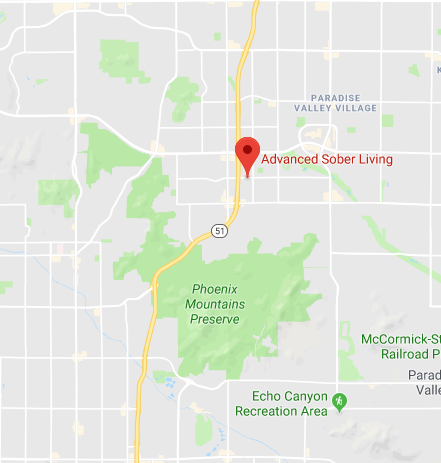 Advanced Sober Living is a premier halfway house in Phoenix, AZ offering high-quality addiction treatment solutions for men in and around the Valley of the Sun. If you’re struggling with alcohol or drug abuse, consider visiting Advanced Sober Living to begin your journey toward recovery and start the healing process. Contact one of our friendly, professional and understanding representatives today to learn more about ways that we can empower you to begin your journey toward healthy, sober living. We look forward to hearing from you!